The next SU President and Vice President will have some incredible experiences, playing a key role in helping to shape the future of Cardiff Met, traveling the world and getting paid nearly £19k… and it could be you! 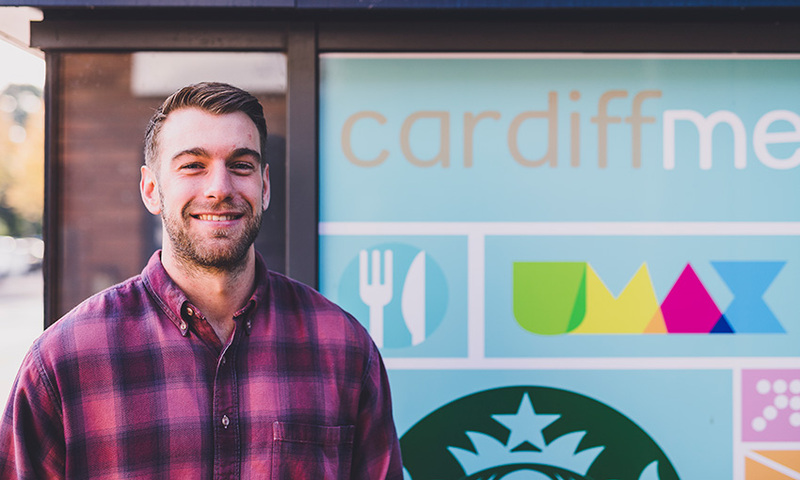 The 2018 Cardiff Met Students’ Union elections are about to kick off and the opportunity to stand is open to all current Cardiff based Cardiff Met students – you can even pause your studies for a year to take up the position. Whether you think you want to stand to be elected or just want to know that the SU is being led by someone who wants to make positive changes for students, you should be interested in this year’s Met Elections. My two years with the SU, one as Vice President and this year as President, have been incredible. I’ve had two of the most enjoyable and enriching years of my life so far, learning so much along the way. Being involved in planning Freshers’ Week at the start of the year through to arranging the Student Achievement Awards at the end and everything in between has been a challenge but a huge opportunity. The main role of the President and Vice President is to represent and input the student voice at the highest level within the university. You also become a trustee of a multi-million pound charity and a governor of the university – imagine being able to put that on your CV! It can be quite daunting thinking about running for Presidency or Vice Presidency but it’s a brilliant experience, you learn so much about yourself, meet students from both campuses and get to know even more about your SU. You can campaign to be elected upon your graduation or you can take a sabbatical year and take a break from studies to perform the role. There’s no way you can do everything on your own, you might want to team up with someone and run for both positions and at the very least you’ll need some friends who are willing and able to help you campaign. Think carefully about what you want to stand for and get your key manifesto points nailed down. Think about how you’ll get your key messages out to students and how you’ll convince them that you’re the safest pair of hands to be leading the Students’ Union. Spend time speaking to students and finding out what changes they’d like to see and make sure you can provide a clear plan as to how you’ll achieve your aims. Plan everything – your approach, your materials and your campaign days. Think about how you’ll make sure you’re visible in all the places students are, both physically and online. During the campaigning and voting, remain focused on what you want to achieve and don’t be drawn in to any war of words with other candidates. There are protocols to follow but above all that, you want come away with your reputation and integrity intact. Regardless of the result, hold your head high… You put yourself forward and managed to run an election campaign. If you won, enjoy the moment, you’ve got an amazing year ahead of you and if you didn’t, be gracious in defeat. Don’t panic, there are still lots of ways to stay involved with the SU, the Part Time Officer and School Rep positions will all be advertised soon.